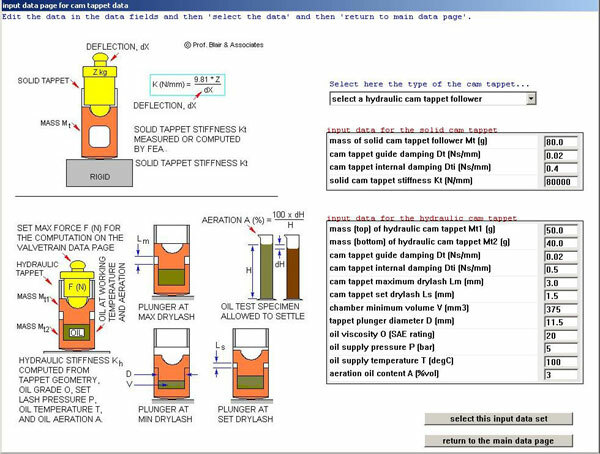 This more complete model of a hydraulic tappet was introduced in January 2008 requiring only the physical dimensions of the tappet and the material properties of the oil supplied to the tappet. The picture below shows the data inserted prior to its selection. In effect, by editing the data on this page it becomes an effective tool for the design of hydraulic tappets. 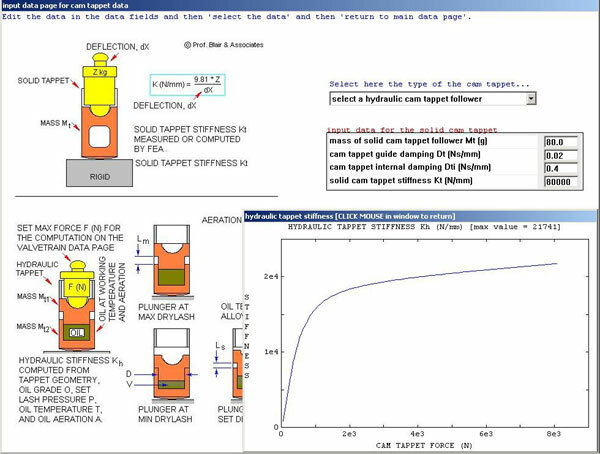 Upon clicking 'data select' the tappet stiffness as a function of load is displayed and, during the valvetrain dynamics computation, the same function is indexed at each time step to supply the computation with the prevailing tappet stiffness at the instantaneous load level.